Born in Qatar, Ali Hassan studied restoration at the University of Louvain, Belgium and graphics in Cairo. For more than 30 years he has exhibited internationally in group and solo exhibitions. His works have been acquired by major museums such as The British Museum, Los Angeles County Museum. Singapore museum Chuan Art Museum, China to name a few. 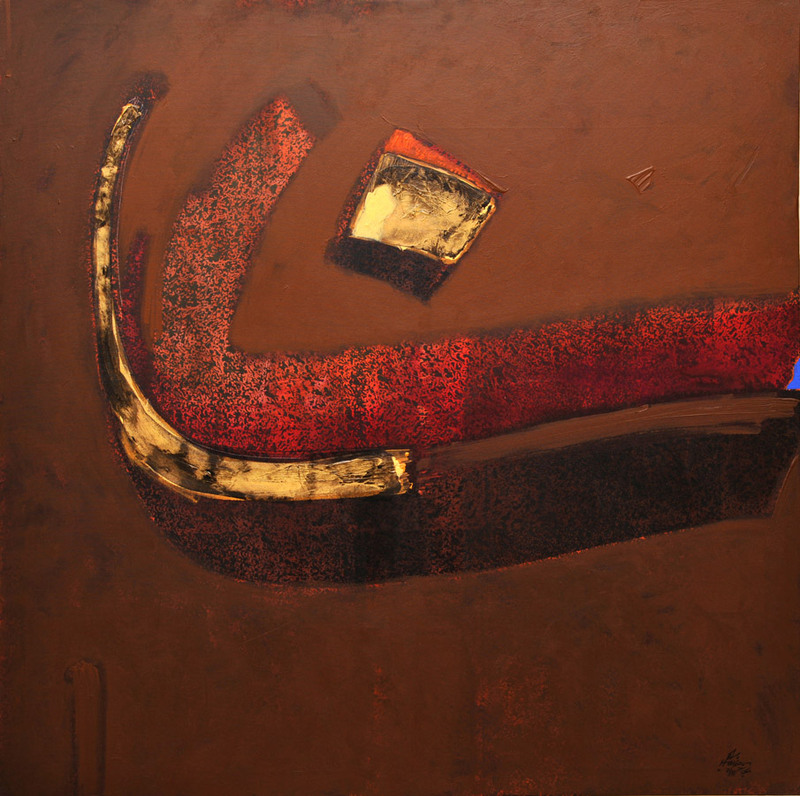 Ali Hassan is fascinated by the Arabic letter “Nun” which he paints as a single letter on a textured background, in black and a variety of other colors.